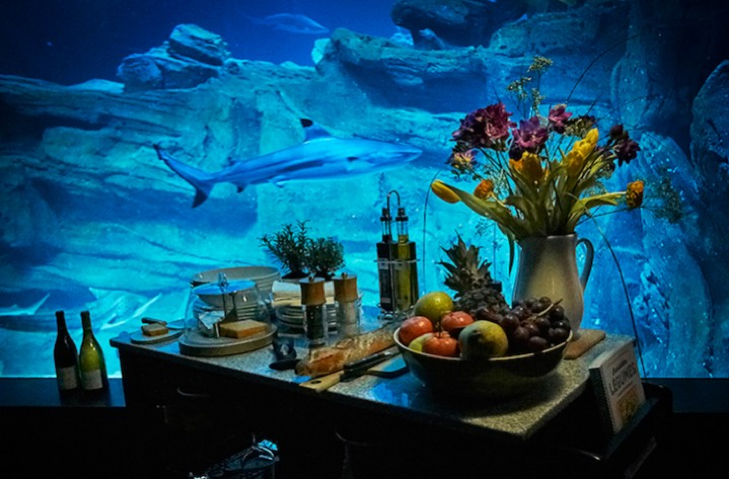 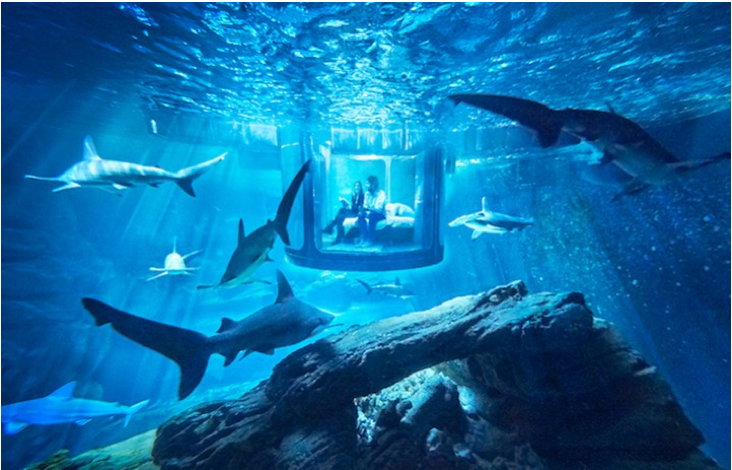 French agency Ubi Bene has built an incredible suite at the aquarium center of Paris in the shark tank, precisely 35 sharks, dipped to 10mt. 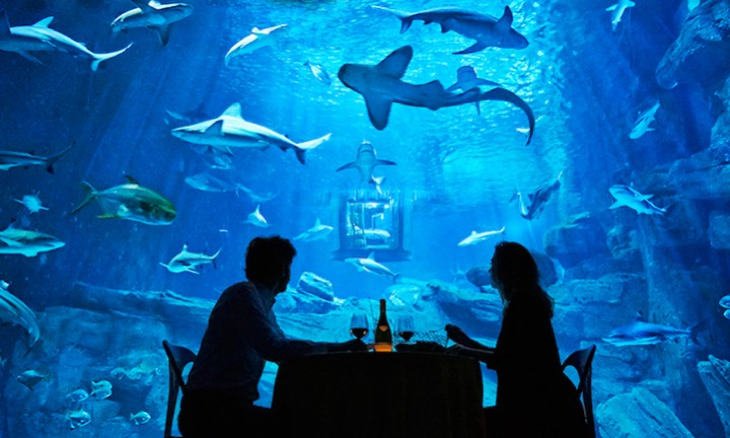 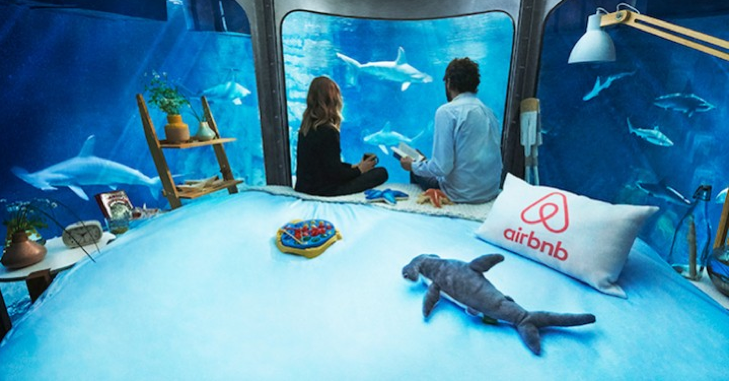 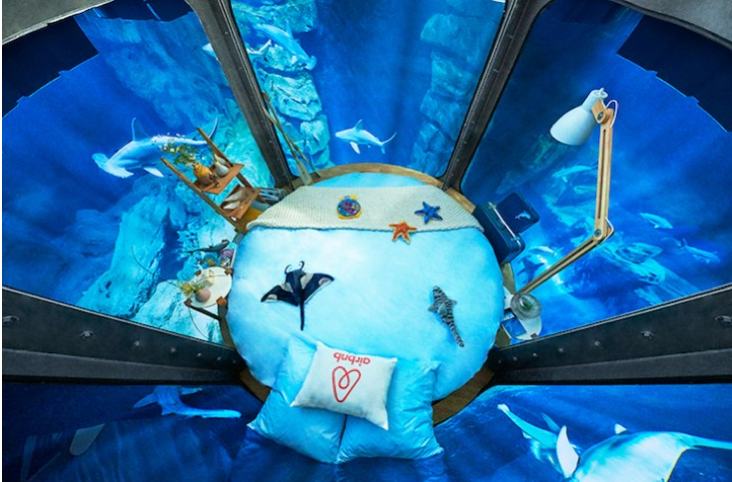 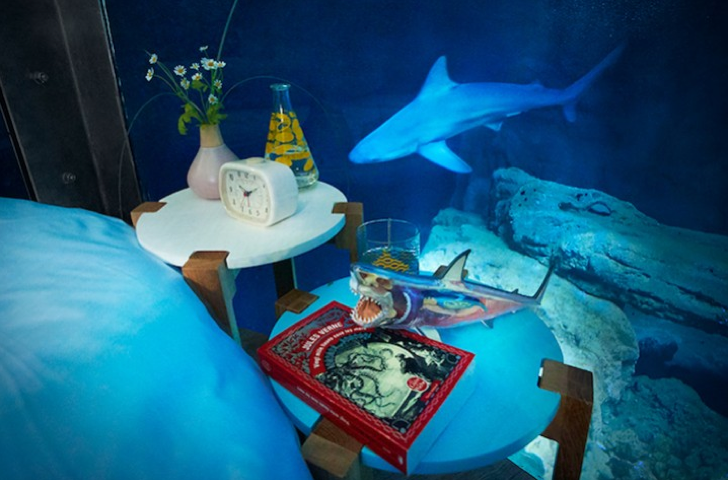 Thanks to the transparent walls you can admire the sharks to 360 degrees. 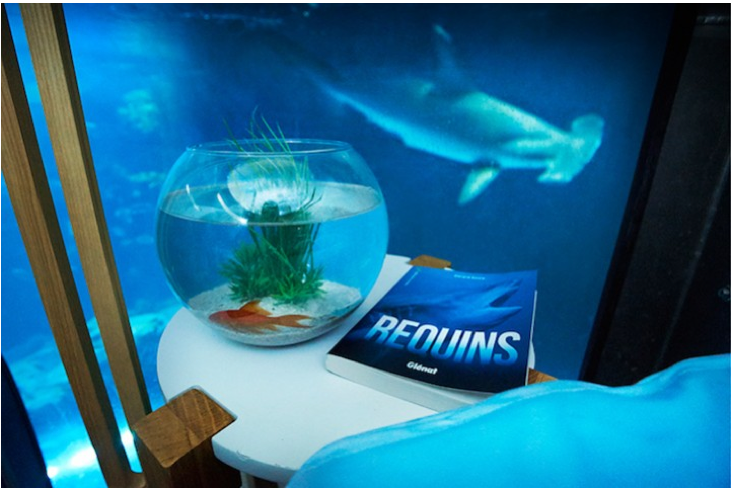 We do not believe is a suite suitable for the faint hearted.